This week, Norwegian Cruise Line announced more details about its newest ship, Norwegian Bliss. We are booked on the ship in August 2018, so we were extra excited about this latest ship reveal. 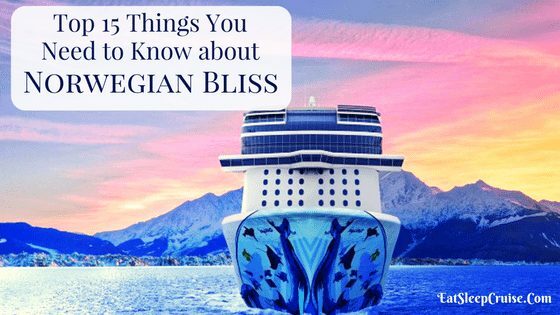 After learning all the new details, we compiled this list of the top 15 things you need to know about Norwegian Bliss. 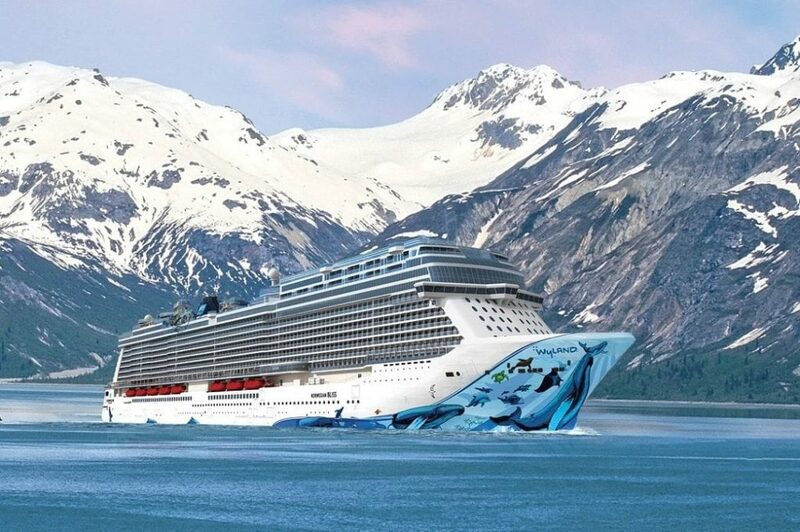 With itineraries currently available for booking through April 2019, Norwegian Bliss will make her debut as the largest ship ever to sail a complete season in Alaska. The 167K gross ton ship will carry over 4,000 passengers to this 49th state during the Alaskan season with additional sailings along the west coast and the Caribbean to follow. 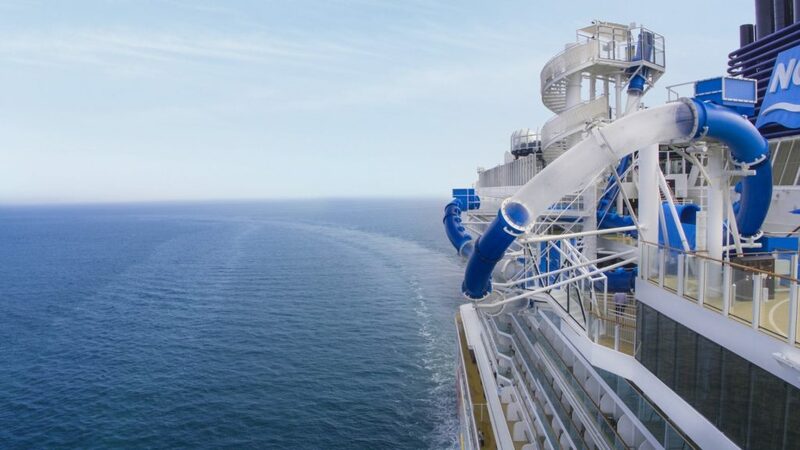 Built with the Alaskan landscape in mind, Norwegian Bliss will boast two observation areas. The Observation Lounge on deck 15 will offer stunning views with wall to wall glass, making it the perfect place to congregate for sail-in and sail-away. Haven cruisers will have their own exclusive Horizon Lounge situated two decks above and offering the same awe inspiring vistas. Ladies and gentlemen, it’s time to start your engines! Being a huge hit on Norwegian Joy, NCL will bring the longest racetrack at sea to Norwegian Bliss. This 1,000 foot long, two-story track will feature electric race cars that can reach up to 30 miles per hour. Racers of all abilities will have the chance to compete in this exhilarating onboard activity. It only makes sense for this Seattle-based cruise ship to feature some of the city’s most popular brands. Therefore, it should come as little surprise that Norwegian Bliss will have the first Starbucks coffee shop on an NCL ship. Located on deck 6, cruisers can have their caffeine fix while sipping on popular hot and cold beverages. Yes, you will have to pay extra for these items, but it will certainly be worthy it. 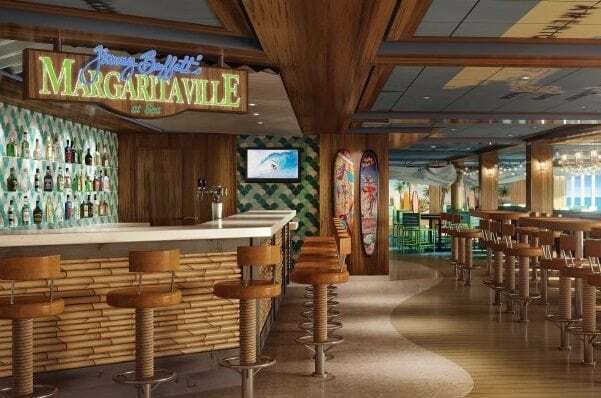 Jimmy Buffett’s Margaritaville is set to be featured on yet another NCL ship. One of our favorite casual spots that debuted on NCL Escape, this open air restaurant on deck 17 is the ideal stop for a midday snack. You don’t need to be a parrothead to love the signature margaritas and cocktails served at this watering hole. Come for the drinks, stay for the volcano nachos! Cruisers on Norwegian Bliss will be able to take a trip back to the 60’s with the Broadway hit, Jersey Boys, headlining in the main theater. This adaptation of the original story of the Four Seasons will play several nights in the main theater. Along with this production, we can expect additional entertainment acts such as comedians, illusionists, and other performances in the main theater. If all of the recent announcements had you concerned that NCL would be doing away with your favorite restaurants, don’t worry. Norwegian Cruise Line has confirmed that many of the line’s signature restaurants will be onboard Bliss. These venues include Cagney’s Steakhouse, La Cucina, Le Bistro, Teppanyaki, Ocean Blue, and a new favorite, Food Republic, which debuted on Escape. 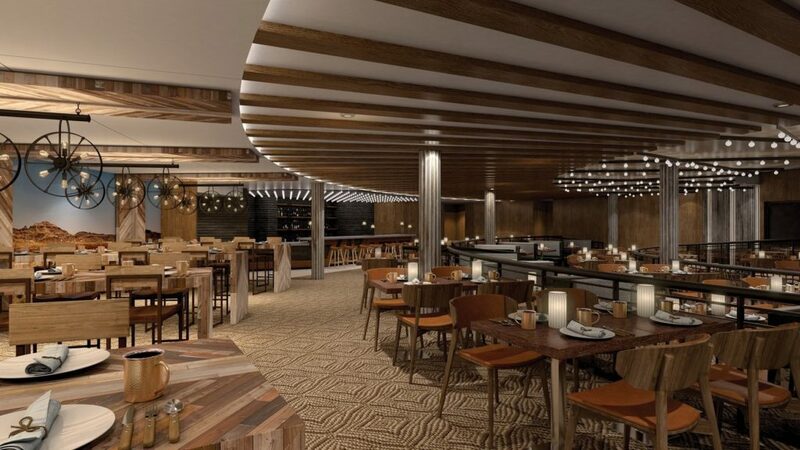 Norwegian’s first ever barbecue joint, Q, will make its debut on Norwegian Bliss. This Texas Smokehouse will feature live music alongside an a la carte menu of beef, chicken, and other delights smoked over hickory, maple, and pecan woods. Don’t forget the avalanche of Southern inspired side dishes and desserts. You better get your napkins ready for this new specialty restaurant. Shh, there is a speakeasy onboard Norwegian Bliss. If you are allowed entrance, then you will have the chance to experience Happy Hour Prohibition – The Musical. This musical transports guests to 1919 on the eve of Prohibition. Costumed performers sing, dance, and spin tales of the era’s notorious bootleggers and show girls. There will be a small cover charge, but you will be able to enjoy five different specialty cocktails exclusive to the show. 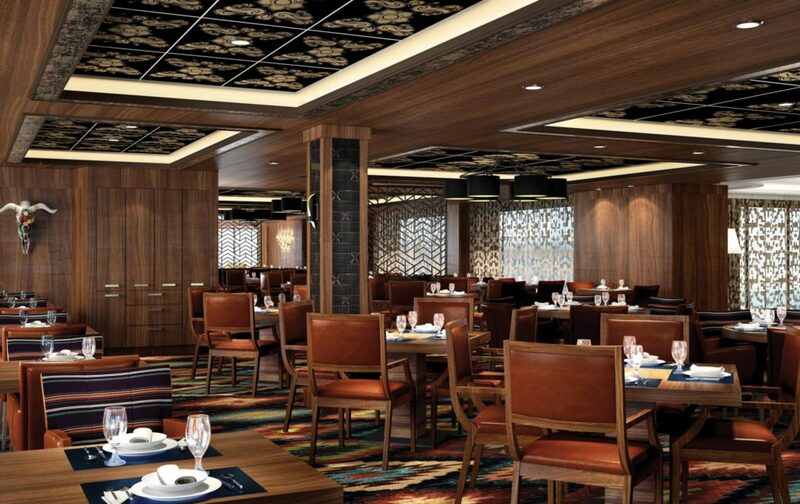 Norwegian Bliss will be the second ship in the fleet to feature the specialty restaurant, Los Lobos. We got a sneak peek at this upscale Mexican restaurant during a tour of the revitalized NCL Dawn. Offering a modern twist on classic dishes, such as freshly made guacamole and enchiladas, this new addition to the Waterfront will also feature custom margaritas with the line’s own signature tequila blend. When it comes to catering to your dessert cravings, there is no better ship than Norwegian Bliss. In addition to the line’s Bake Shop and Dolce Gelato, this ship will feature a brand new a la carte pastry venue. Coco’s, located on deck 6, is a chocoholics dream come true. From the chocolate fountain at the entrance, to the wide selection of bite-sized treats and specialty coffee, you will surely be visiting this cafe several times throughout your cruise. This is not your ordinary game of tag. 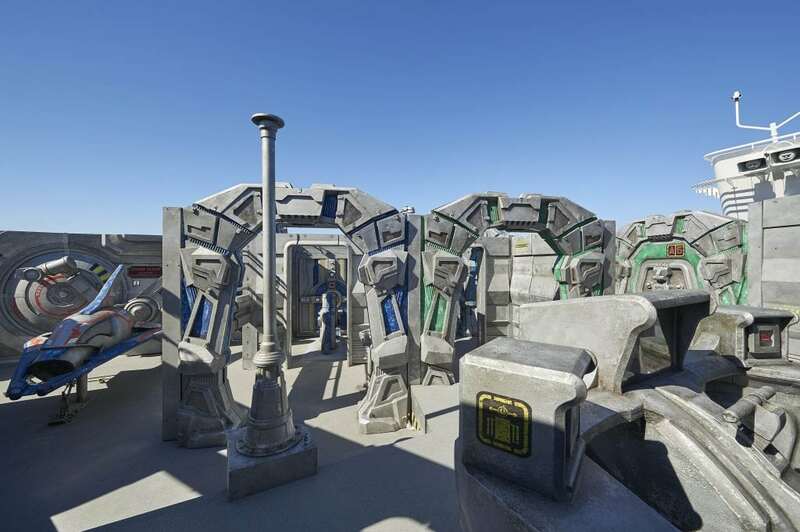 On Norwegian Bliss, you can engage in day or night guerrilla warfare as you and your fellow cruisers duel it out in the first ever open air laser tag game at sea. A futuristic space themed course is the backdrop for this thrilling and tactical onboard activity. Fun for cruisers of all ages, this is bound to be one of the most popular attractions on the ship. Say good bye to O’Sheehan’s Pub and hello to The Local. Located on deck 7, the Local will be your new 24/7 establishment. With a pub menu and wide assortment of beers, the Local is sure to be one of your crew’s favorite meeting spots. Looking for more places to chill? The new A-List Bar and Whiskey Bar on deck 8 are sure to be popular for a pre-dinner or after dinner cocktail. Fan favorites like the Sugarcane Mojito Bar and District Brewhouse will also be making a return to quench your thirst. You will be able to twist and shout each night of your cruise at the Cavern Club. This new venue will host live music, featuring a Beatles tribute band. This complimentary venue will have you singing and dancing along to classic songs that members of all generations know and love. Don’t be surprised if it’s standing room only. After all, Beatlemania can be very contagious. Similar to other newer NCL ships, Norwegian Bliss will have a waterpark. Along with some of the Aqua Park features for your little ones, the ship will also have two slides. You can compete in the tandem Aqua Racer or hold on tight when dropping down the Ocean Loops. This free fall slide will have you twisting and turning through two loops, as the slide extends over the side of the ship. There is even a see-through portion so you can witness it all. That is, if you can keep your eyes open during the ride! All photos are courtesy of Norwegian Cruise Line. 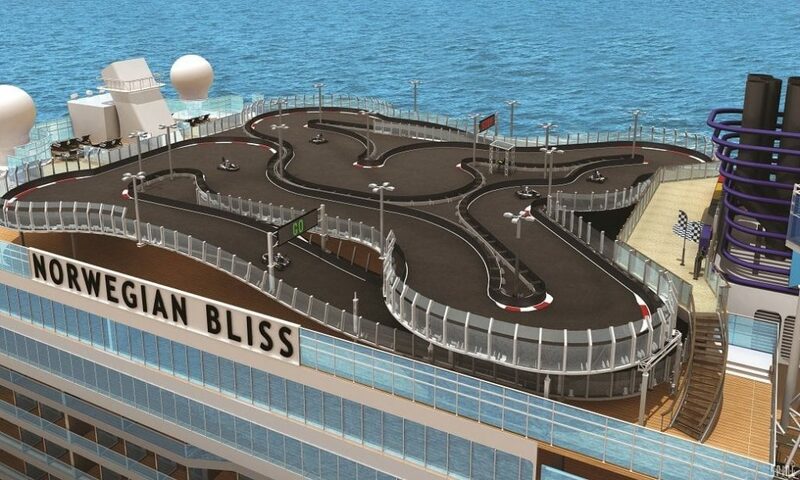 What features are you most excited about on Norwegian Bliss? 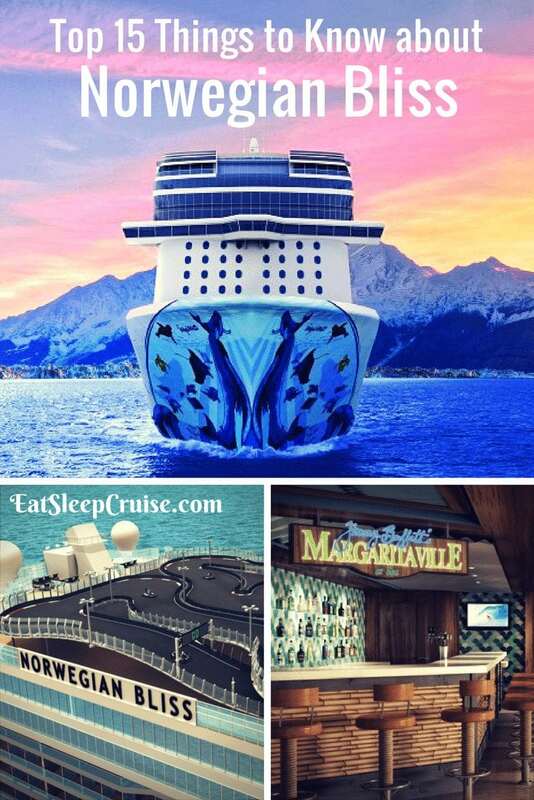 Do all the latest announcements have you ready to book a cruise on this new ship? Drop us an anchor below to let us know what you are looking forward to testing out on this latest NCL ship.